HELIOS is a PVC windows, doors, blinds and shutters producer founded in 2004. The company has four state-of-the-art, fully automated and ultra-efficient technological lines, which ensure the production of 400 windows a day. Due to the constant optimization of the production process and the quality of the offered products and services, HELIOS is one of the major PVC windows and doors producers in Romania. The brand is also present on the European market, in Italy, France, Belgium and Germany. 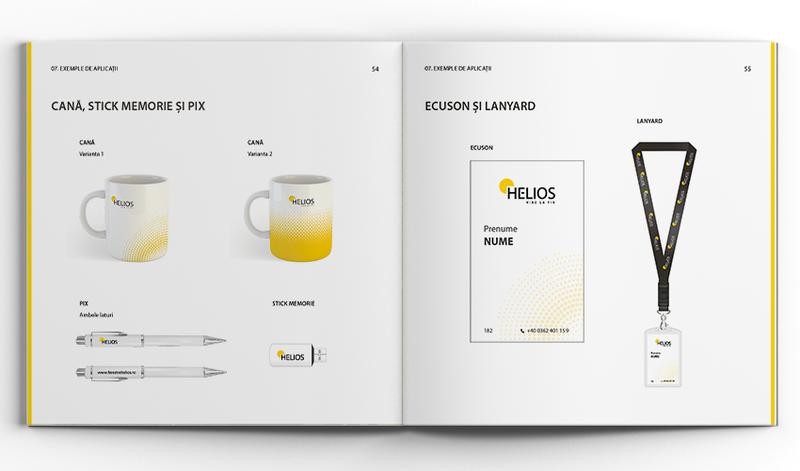 Although HELIOS is a strong company, with a high reputation among its clients, it lacks a consistent branding strategy. Therefore, we were contacted in order to develop and establish its brand identity. 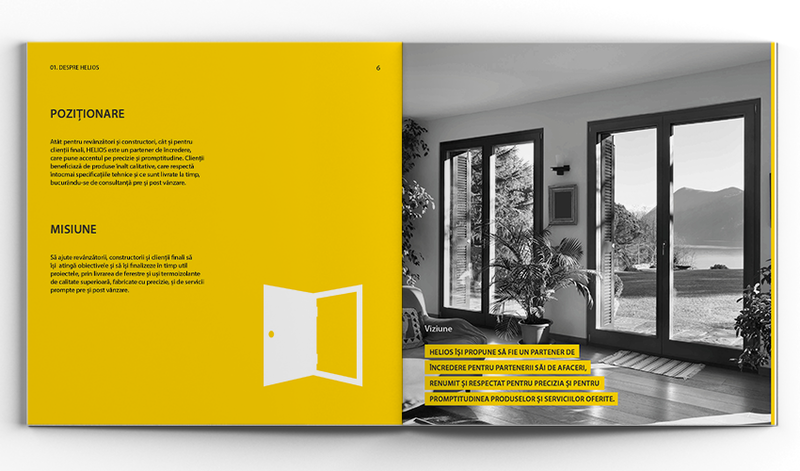 It had no clearly set of rules relating to its visual identity elements. In the first phase, we thoroughly analyzed the company and its competition as it was at the moment, to find which are its main competitive advantages. After several discussions with its Board of Directors and its employees, we gathered enough data to start developing its branding strategy. For start, we established its market positioning, based on the freshly conducted research and the discovered insights. 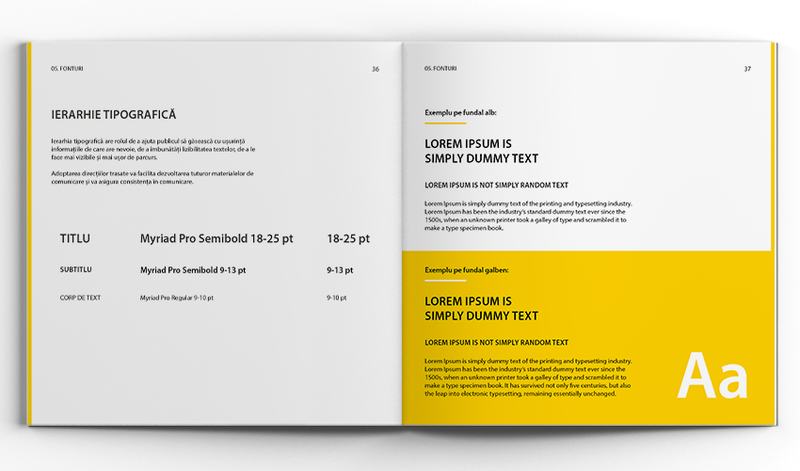 We had to define a USP bold enough to make HELIOS stand apart from its competitors, one that could be fully adopted and implemented by the company. The chosen positioning focuses on the company’s precision and its promptitude. These two main competitive edges were emphasized in the chosen tagline, “Vine la fix” (Right on Point). This tagline is short, but clear, and it has an open meaning, adaptable to different punctual situations. After we established the company’s positioning, we defined its mission, its vision and its set of values, all created based on insights from within the company. Next, it was time to establish its communication strategy, a strategy that should reflect and consolidate the chosen positioning and to target individually both types of public. for the end clients the used language should be direct and friendly, with an emphasis on the products benefits. for the distributors and resellers the used language is a bit more technical, but still direct, with a focus on the reasons why they should choose HELIOS. At the same time, we worked on refining the company’s logo. As keeping the brand’s consistency is essential, especially since HELIOS already had a high reputation, we choose to make an update on the existing one. We kept its main elements, slightly retouched, but we played with the negative space technique in order to integrate a “hidden” window in it. Alongside the logo, we developed a set of associated graphic elements and we established the visual identity rules, which are to be used/ respected in all created materials, both print and online, in order to maintain the brand’s consistency. 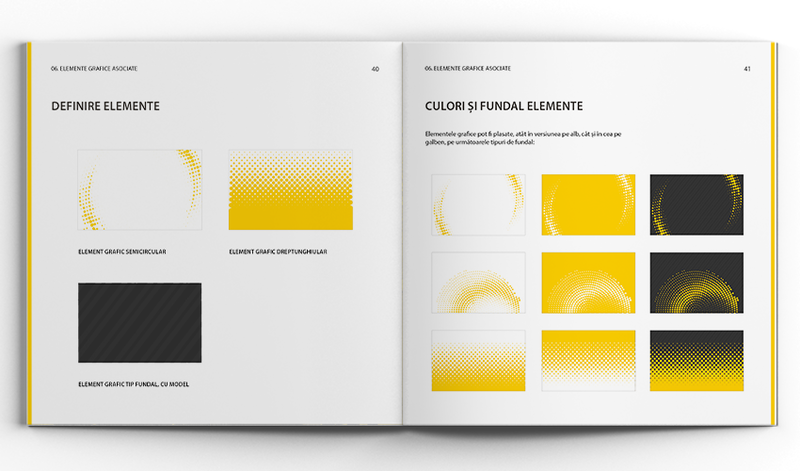 All these were comprised in a brand manual, a document that, similarly to an ID card, represents the brand’s identity, guides a company in developing all related materials and it helps it maintain its consistency in all mediums. 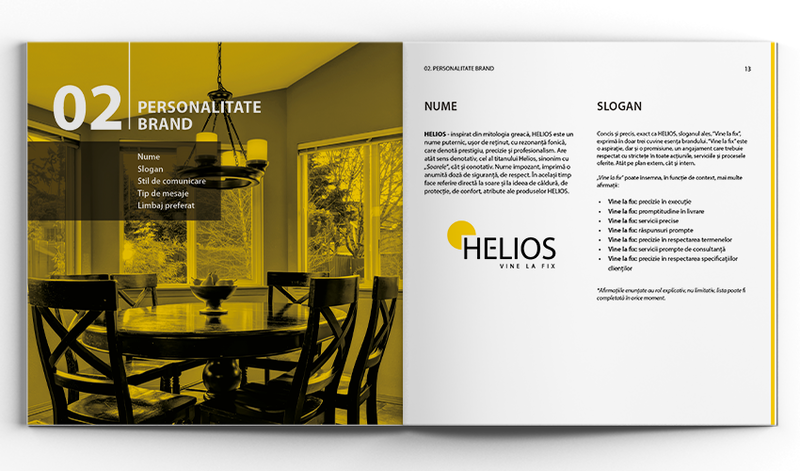 HELIOS now has a strong branding strategy, a clear position within the market, as well as a clear way to transmit the desired messages to its target audiences. The company and its partners don’t have to do guesswork when it comes to developing all sorts of materials: they only have to follow the guidelines set in the brand manual. If you are looking for a brand changing experience ➡ take a look here.